Description: Meet award-winning photographer Joseph De Sciose and get a first glance at his new exhibit at Aldridge Gardens. 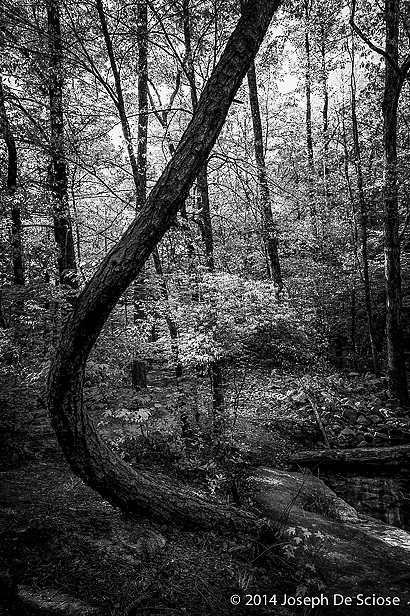 "Embracing Silence" is an exhibition of black and white photography of Moss Rock Preserve. This display features images captured at Moss Rock, a 349-acre refuge of boulder fields, sandstone glades, waterfalls, native plants and wildlife in the heart of Hoover. Joseph De Sciose was a senior photographer at Southern Living Magazine for more than five years shooting gardens, travel and lifestyle stories. He won the Garden Globe Award for “Best Photography for a Garden Book” by the Garden Writers’ Association for the Flower Gardener’s Bible. His work has also been featured in several additional books. "Embracing Silence" will be featured in the Kay and Eddie Aldridge Art and Historical Museum October 9 through December 7. The Meet the Artist Reception is free, but so that we may properly plan we ask that you kindly RSVP. This form stopped accepting submissions on October 9, 2014 6:00 pm CDT.